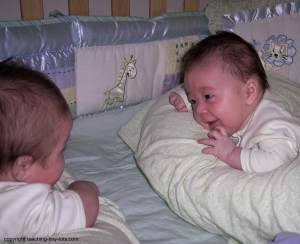 Questions About Having Twins or Multiples? Have a question about what activities to start with? Want a recommendation on books, toys and products? Or maybe you have a question about how to do an activity with two children without creating chaos. Or just want to know more about having multiples! You are invited to ask and get our readers opinions, answers and solutions! Read other questions and share your knowledge as well. To ensure that we provide our readers with relevant and accurate information we reserve the right to modify or edit submissions. Please note this site is carefully monitored to ensure all submissions are appropriate to viewers of all ages. Submissions and comments that are deemed inappropriate by Teaching Tiny Tots will not be published. Links may or may not be published live, submissions containing only links will not be published. Number of links published are determined by Teaching Tiny Tots. The views and opinions are those of the author and not necessarily those of teaching-tiny-tots.com.